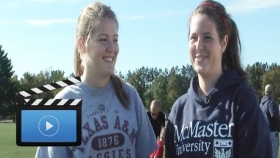 Watch the 2012 student videos! Now available online! Click on the images below to view the videos. Each video ties into The Grand Vision by illustrating how a sense of "place" is important students. Students from Cherryland Middle School spend a day at Maple Bay to learn about the natural resources of the area. This video premiered at the Community Action Update event in October! 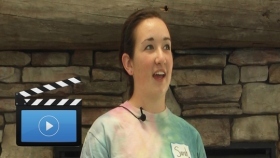 College student Maggie Peterson shares with us her involvement planning and running summer programming for young children at the Grass River Natural Area. Learning about the history of the Dam Beach, and how students have been involved in its preservation and revitalization. The Elk Rapids High School Jazz Band invests in their community by working throughout the summer to raise funds for the continuation of the jazz band class. 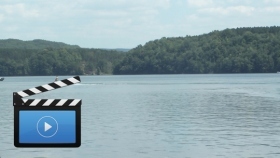 A music video featuring the amazing places and features of Crystal Lake. Showcasing the Benzie 4-H Soccer Program, and how high school students investing in their communities by coaching the K-6 grad teams. 5th grade students and FoodCorps member Daniel Marbury teach us about composting through rapping together. Cherry Knoll 2nd and 5th graders learn about stewardship of our water through education and time spend at the Vanderlip Creek. Charlotte Morgan discusses the community atmosphere and spirit of volunteerism at The Fun Factory. 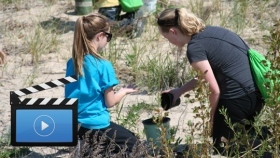 400 Traverse City West Middle School students volunteering with conservation agencies in the region. McKenzie Johnson gives an education on the TART Trails, and discusses her hope for their continued development. Greenspire School students explore the Grand Traverse Commons trails and encourage their preservation. Learning about Junior Achievement and the Company Program where students developed the business "Mugged" and sold coffee tumblers in the area. 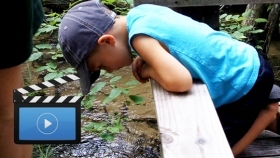 Mill Creek Elementary students learn about and help to preserve the Mill Creek Pond. 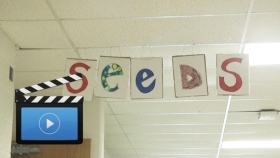 The Kalkaska SEEDS After-School Program works with The Grand Vision Youth Engagement Program to begin developing a youth center in Kalkaska. Anna Reynolds documents the construction and her involvement in the building a Habitat for Humanity house. 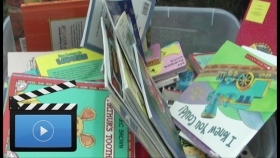 The United Way of Northwest Michigan hosts a Day of Action in Kalkaska, focusing on promoting literacy. 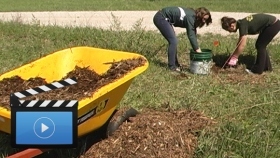 Suttons Bay High School senior documents the development of a community garden for her senior project. Students Ian and Matt work with the Suttons Bay Parks and Recreation Committee and The Grand Vision to develop a disc golf course at Herman Park. Showing how the unique environment of the Leelanau School encourages deeper learning and exploration. Showing the Leelanau School's unique community atmosphere, and how it helps to develop young people into engaged members of society. 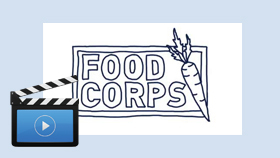 Food Corps members Daniel Marbury and Kirsten Gerbatsch teach kids about beets and parsnips through preparing them with students and serving them at lunch. Taya Hakes gives an education on the history of Northern Exposure and tells us why it is an important place in her community. See this video when it premieres at the Community Action Update event in October! Mark Lagerway shares with us the new agriculture program at Baker College of Cadillac, to develop and involve students in agriculture in our region. Showcasing the Cadillac Area Community Foundation Youth Advisory Council including their team building and training day at Camp Torenta. The Grand Vision Youth Engagement Program runs an in-school club at Cherryland Middle School focused on placemaking, the development of community spaces. Coming soon! Not yet available online. The Double Up Food Bucks program was featured in a student video shown at The Grand Vision Your Action event in Traverse City. The program helps make produce at local farmers markets more affordable for struggling families. 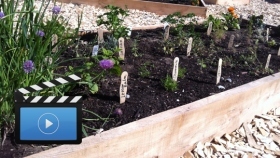 The video was produced for The Grand Vision Food and Farming Network by Bridget Bernhard, a student at Traverse City West Senior High and Josie Blake, a student at TC Central High. 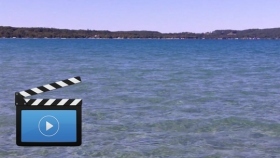 Work being done by the Village of Suttons Bay to improve the village's connection to the bay while also protecting water quality was featured in a video shown at The Grand Vision Your Action event in Traverse City. 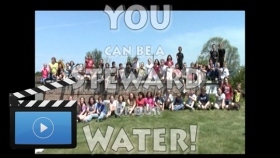 The video was produced for The Grand Vision Natural Resources Network and narrated by Madeline Kachadurian, a student at TC Central High School. The Boardman River Dams Removal Project was featured in a student video shown at The Grand Vision Your Action event in Traverse City. The video was produced for The Grand Vision Natural Resource Network by Miles Chisholm from the Grand Traverse Band of Ottawa and Chippewa Indians, a student of NMC. Issues surrounding affordable housing were featured in a student video shown at The Grand Vision Your Action event in Traverse City. 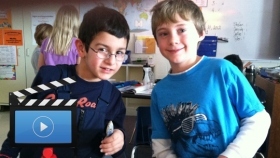 The video was produced for The Grand Vision Housing Network by Joe Bourdages and Rio Lopez-Wild of TC East Middle School, and Zander Lensch, a student at Greenspire School. The future of the Elk Rapids wastewater treatment system was featured in a student video shown at the Grand Vision Your Action event in Traverse City. 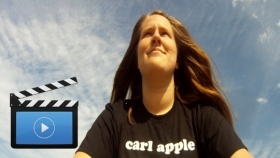 The video was produced for The Grand Vision Growth and Investment and Food and Farming Networks by Elise Coates, a student at Elk Rapids High School. 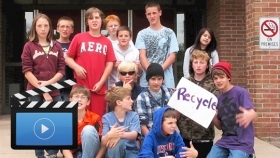 Energy education efforts were showcased in a student video shown at the Grand Vision Your Action event in Traverse City. 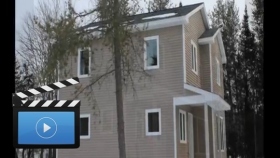 The video was produced for the Grand Vision Energy Network by Kyle Huggett, a student of NMC. The Buckley transfer station was featured in a student video shown at the Grand Vision Your Action event in Traverse City. The video was produced for the Grand Vision Energy Network by Lilli Lockwood, Courtney Ignace, and Shannon Klug, students at TC West Senior High.